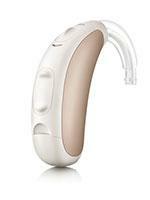 Hearing Aids Bel Air & Havre de Grace MD | Hearing Associates Inc.
Would you like to try hearing aids free for two weeks? Watch the video story below to learn how they changed Nanette’s life. Then give us a call today to schedule your hearing exam. The mini BTE rests behind the ear. The case at the back of the ear houses the technology, while a clear tube then directs amplified sound into the ear canal via an earmold or earbud. A smaller version of the BTE. 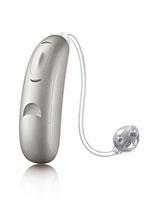 Appropriate for most types of hearing loss and most ages. Our newest custom fit style is truly 100% invisible when worn. Living in the second bend of the year, the IIC comes complete with industry-leading technology. Designed to be removed daily to promote better ear health. Natural sounding. 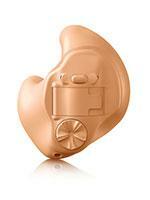 Designed custom for your ear and hearing loss. Works great on the phone. Appropriate for a range of hearing losses. These devices fit completely in the canal. Only the head of a tiny plastic line — with which you insert or remove the instrument — shows above the canal. 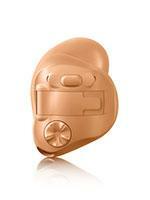 Fits completely in the ear canal and is virtually invisible. Appropriate for mild to mildly severe hearing loss. Custom made just for you. Requires some manual dexterity. In-the-canal instruments feature an earmold that fits down into the ear canal and a smaller portion that faces out into the outer ear. Appropriate for mild to mildly severe hearing loss. Custom made just for you. In-the-ear instruments house the technology components in a custom-formed earmold that fits within the outer portion of the ear. 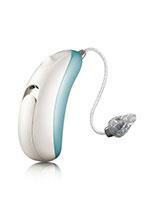 Easy to adjust-ideal for those with limited manual dexterity. Appropriate for mild to severe hearing loss. Custom made for you. 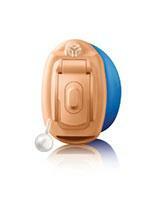 BTE instruments’ technology is housed in a casing that rests behind the ear. 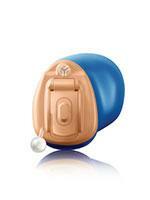 A clear plastic tube then directs amplified sound into an earmold inside the ear canal. These are the largest models and can house a variety of circuit options and amplify sounds to a greater degree than most custom models. Appropriate for most types of hearing loss. Color choices to match your hair, skin tone and lifestyle. Offers greater amplification compared to smaller, in-the-ear styles. © 2017 Hearing Associates, Inc. All Rights Reserved.